Shop our wide selection of side combs and hair clips for the perfect hair accessory for your wedding or prom! We have all the latest styles of wedding combs including pearl, lace, crystal and rhinestone combs. 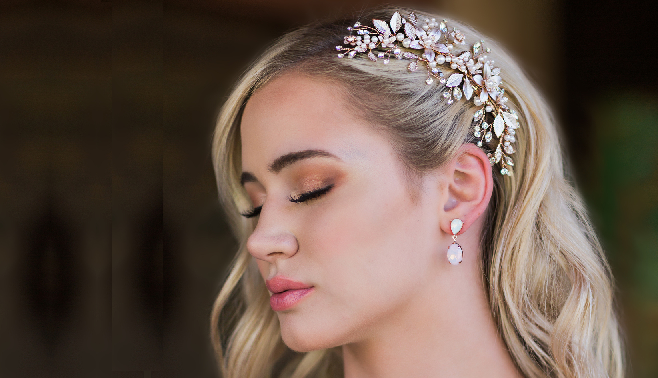 From dramatic statement combs to dainty selections, we have the headpiece you're looking for! Featured here is one of our hair rose gold hair combs by Envogue, HC1832.